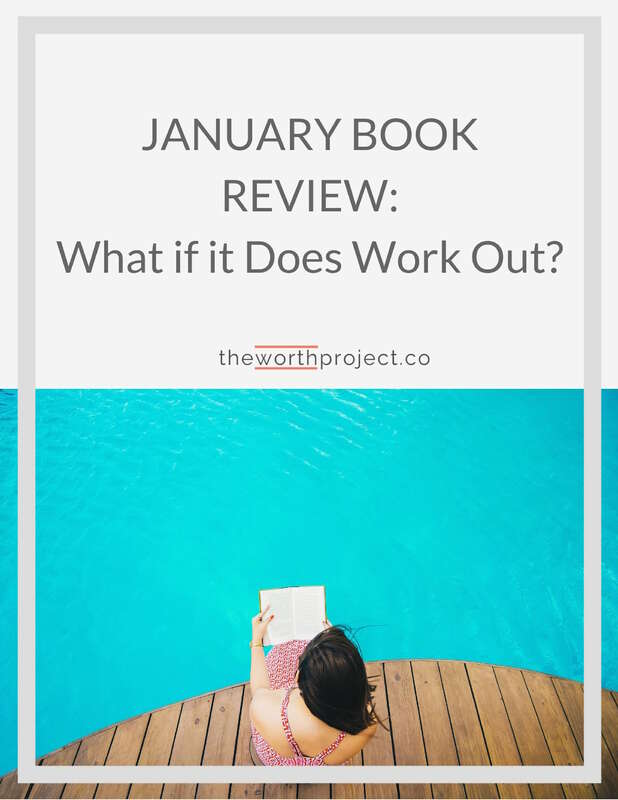 January Book Review: What If It Does Work Out? Every year I make the vague resolve to read more. Then halfway through the year, I realize I’ve only picked up a handful of books, most of which constitute beach reads. I’m not knocking beach reads, we need them. But there is also something important about reading non-fiction books in pursuit of your big life. We’re kicking off January with a book about getting your side hustle up and running, and I couldn’t be more excited to share. How a side hustle can change your life. Ready to start that side hustle? In the book, you’ll find a lot of motivation followed by action-oriented steps. 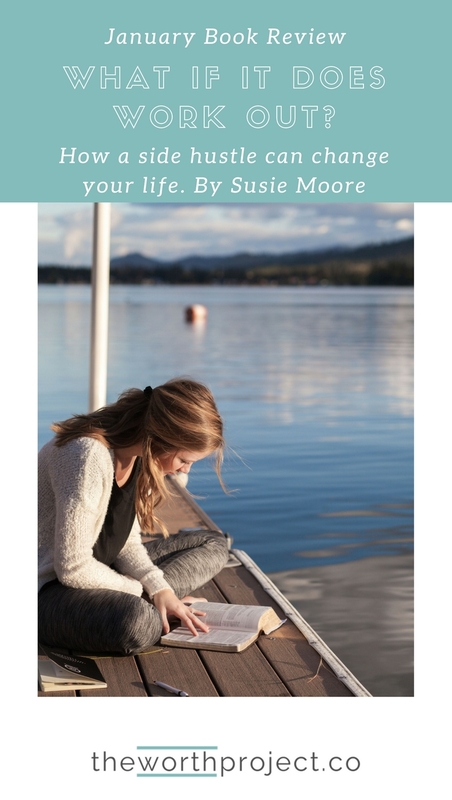 Susie Moore breaks things down to both inspire you and get you to move on your goals. Whatever doubts or excuses you may have, she has a rebuttal for them in this quick, action-oriented book. I chose this book for both selfish and unselfish reasons. Selfishly, I’m always looking for ways to accelerate my side hustle(s). I was on a really traditional career path with some amazing companies before I decided to cast it all to the wind and create a new path. While this has been great, there are always ups and downs. And as things continue to evolve, I need all the help I can get to reach the next level. Unselfishly, I get questions all the time from readers about starting a side hustle. I’m not an expert and I won’t pretend to be. I’ve figured out a lot, but I still have a long way to go. So let’s just bring in an expert, shall we? In this evolving, new economy most people know how important it is to have a side hustle. We have less job stability, but more opportunities than ever before. We need to know how to make money on our own. And for a lot of us, we have bigger financial goals than our paychecks will allow. But it can be difficult or intimidating to get started. This felt like the perfect book to start off 2018 with. This is a book to read and take action on at the same time. Each chapter has questions and reflection activities that you’re meant to do right then. This isn’t a book to read before bed – it would be a better book to read for 15 minutes in the morning and then spend another 15 minutes to do the exercise. Reading the section about time management gave me a few takeaways. One is that I can do so much more. The second is that it’s OK to sacrifice social plans to work on your side hustle. I always feel guilty when I turn friends down because I’d rather work. So guilty that I usually end up going and then feeling stressed about it later. Reading this made me realize that it’s ok for me to prioritize my work right now. It’s not because I don’t like my friends or I’m not fun – it’s just that there is something bigger that I’d really prefer to be working on right now. You have to make tradeoffs and you can’t do it all. There’s a great chapter focused on multiple income streams where she breaks down all of her income streams and how she generates money. I expected to see a few different income streams but she listed 10. 10! I was so impressed to see all of the different ways she chooses to make money in her business and seeing her examples does get your wheels turning. We all know that there’s no such thing as failure, right? We’ve heard it before. But she dedicates a whole chapter to this and her examples (a lot of them personal) were refreshing. I’ve gotten better with the idea of failure, but I feel like it will be a constant struggle to really be OK with it. I know I’ll revisit this chapter time and time again. Because of where I am in my side hustle, I’m constantly pitching. Well, I say constantly but I’m probably not pitching as much as I should. But I’m sending out a lot of pitches. I’ll usually send an email and then follow up once. Maybe I’ll follow up twice if I really want it. Included in this book was a study by a specialist at Notre Dame University. It found that 94% of sales people give up by the fourth contact attempt, but 60% of all sales are made after that fourth attempt! This part of the book made me realize that I’m really selling myself short by failing to follow up over and over again. This is a change that I’ll be making to my business immediately. This book was a mix of inspiration (she’s a life coach so she knows how to do that well), mixed with really practical advice. I didn’t do all of the exercises, though I should, the one that I’m really excited to do is write a letter as my 80-year-old self. It’s a quick read so make sure you take time to really do the exercises. Anyone who has an interest in creating a side hustle, but they haven’t started yet. If you find yourself saying that you don’t have time, that you don’t know where to start, or you’re afraid of failing, this book will give you the boost that you need. Really, for any excuse that you have, she will give you a kick in the pants that will leave you feeling like you can and should do more.